Looking for a warmer caravan /tourer & park home? 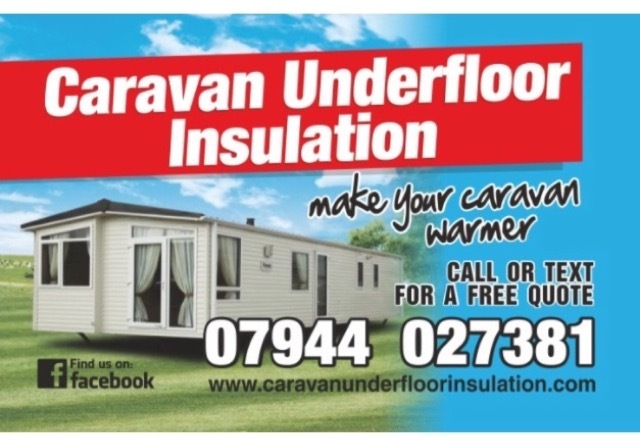 Why not have your caravan fitted with under floor foil insulation. We all know heating a static caravan is expensive. The additional insulation will help you save money over time. It will improve the comfort of your caravan by keeping the floor warmer. If you rent out your caravan it will also increase your returns as holiday makers will run the heating less. We cover all of Lincolnshire and prices start at just £260 for Caravan under floor insulation.